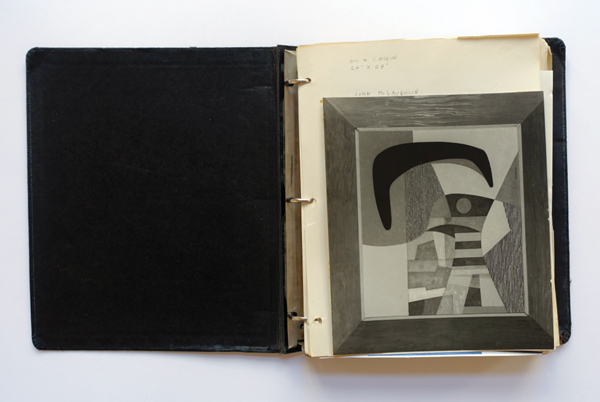 Specific Object is pleased to present John McLaughlin : Ascetic Approach, to be held at Susan Inglett Gallery. The exhibition, curated by David Platzker, will run from March 21 through April 20, 2019. John McLaughlin has long been characterized as the preeminent classical West Coast, minimalist hard-edge painter. His heralded paintings, produced from the mid-1940s forward, would prefigure the cool, anodyne aesthetic assumed by younger Southern California light and space, finish fetish, artists including Larry Bell, Judy Chicago, Mary Corse, Craig Kauffman, Robert Irwin, John McCracken, and James Turrell. McLaughlin’s artistic origins and intellectual curiosity, however, were grounded in a deep interest in Japan, where he lived from 1935 to 1938 before moving to Boston to open a gallery dedicated to Japanese prints and Asian decorative arts. His earliest paintings, starting in the 1930s, reflect paired down still lifes and biomorphic abstractions that contained muted colors which, in a short span of years, distilled into deeply-considered geometric abstractions that harmonized the interplay of color-block geometric forms with white grounded scale. Paradoxically, these black-and-white photographs provide only the most basic reflection of McLaughlin’s work. Devoid of true color and scale, they are ghostly renderings in gray to black monochrome of the artist’s systematic trajectory. These reproductions will be punctuated by a select group of McLaughlin’s paintings, yielding a vibrant intersection between the representation and the reality of his craft. JOHN MCLAUGHLIN was born in Sharon, Massachusetts in 1898. An entirely self-taught painter, McLaughlin’s first exhibition took place at the Felix Landau Gallery, Los Angeles, in 1952 and was followed by a solo exhibition at the Pasadena Art Museum in 1956. Solo museum exhibitions include a major retrospective, John McLaughlin Paintings: Total Abstraction, held at the Los Angeles County Museum of Art, November 13, 2016 - April 16, 2017. He died in 1976 in Dana Point, California at the age of 77. Specific Object / David Platzker and Susan Inglett Gallery wishes to thank Van Doren Waxter and Franklin Parrasch Gallery for their collaboration in realizing John McLaughlin : Ascetic Approach. Read Roberta Smith's New York Times review of the exhibition by clicking here.